Zinc Alloy Pendant Settings--The gemstone pendants need to be held in a setting with a chain or cord to fasten and enhance the beauty of the stone. 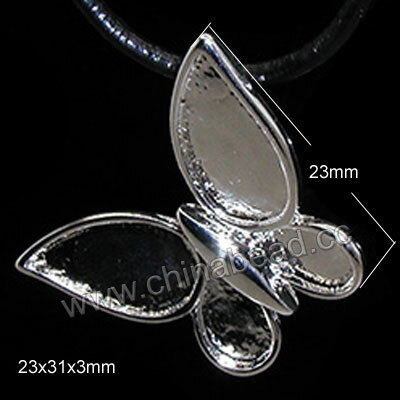 In this category, we display a variety of zinc alloy pendant settings in many unique styles. Many other materials of these settings are also available which will offer more options for you. Choose a perfect setting to create your unique pendants today. NOTE: Our Min. order is for each color each size. China beads accept OEM/special orders. Contact us now!